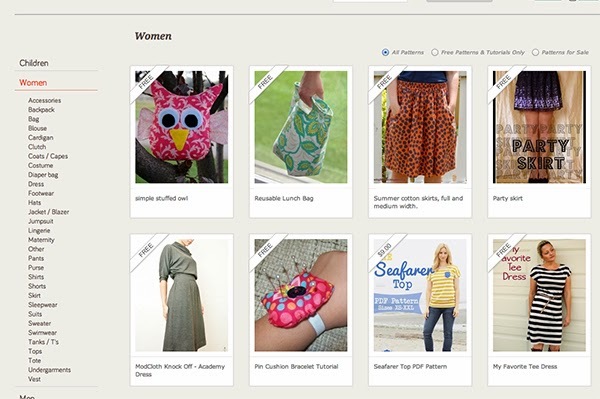 This month for our Knitriffic Blog feature we have SewSet, a forever growing on-line sewing directory aimed at bringing all of the fabulous sewing tutorials and patterns out there into one website. It does not get much better than this!! The site started by Jess Abbot of The Sewing Rabbit Me Sew Crazy blog is a user driven directory of online sewing patterns and tutorials that is just chocked full of great knit fabric tutorials and lots more. The site is nicely organized to help you find what you are looking for and clearly shows whether they are free or the price if for sale. My Pinning finger is itchin' to get started! !